Nature's Exquisite Backdrop appears with this Beautiful Creekfront property in Otto, NC! 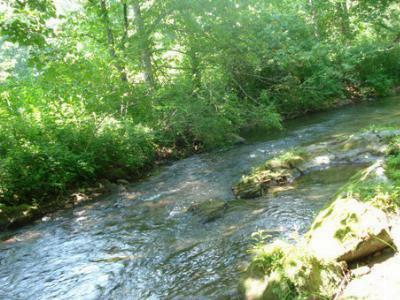 Fish and Tube from your own yard with over 750 feet of Creekfront! Quality Custom Log Home has Soaring Floor to Ceiling Rock Fireplace, Huge Covered Porches located on these Meticulous Grounds. 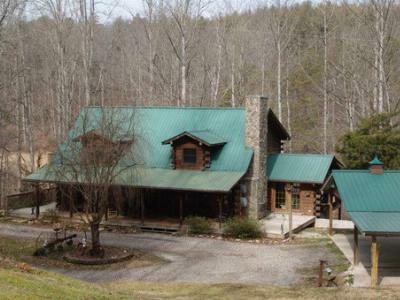 This Property includes the 3100 +/- SF Main Log home, A 2 Bedroom, 1 Bath Cottage also on the creek and a 24' X 10' Studio Apartment. An adjoining parcel goes with this package that has a 3 Bedroom Septic System already installed----ready for a third home to be built. Man Cave accomodations include the 24' X 20' Heated and Cooled Oversized Garage and a 3 Car Carport. Schools servicing this home are South Macon Elementary, Mountain View 5-6, Macon Middle and Franklin High School all within 15 minutes of this home. This area is a haven for Hiking, Kayaking, Hunting, Gem Mining and Fishing….a true mecca for those who love the outdoors.